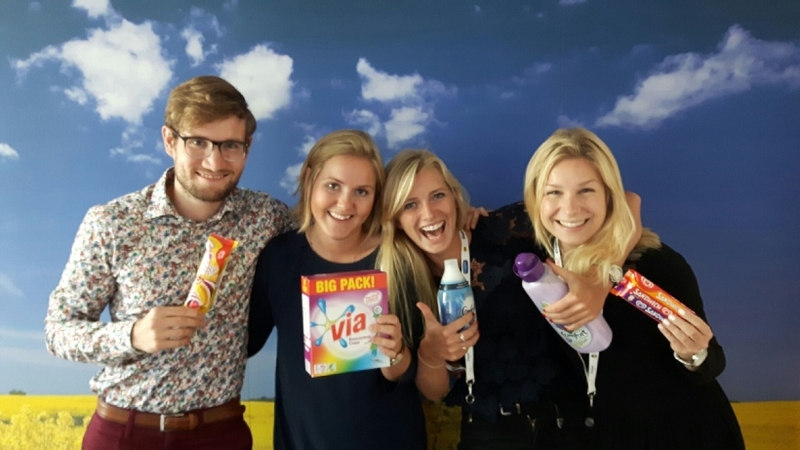 Unilever Nordics has approximately 1400 employees with a turnover of 900 million Euros. Our local offices are based in Sweden, Norway, Denmark and Finland, with four Nordic manufacturing units. The Nordic head office is based in Solna, Stockholm. 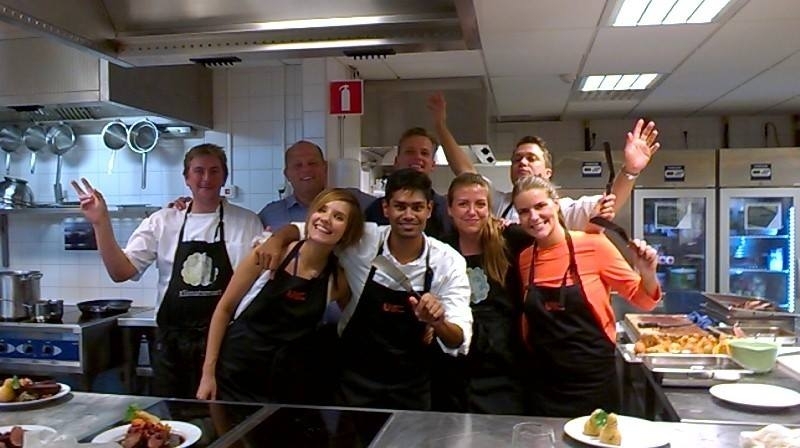 Unilever Sweden is the biggest market in the Nordics and has approximately 450 employees. The business has key brands such as GB Glace, Ben & Jerrys, Knorr, Lipton, Via, Pepsodent and Dove and many more. 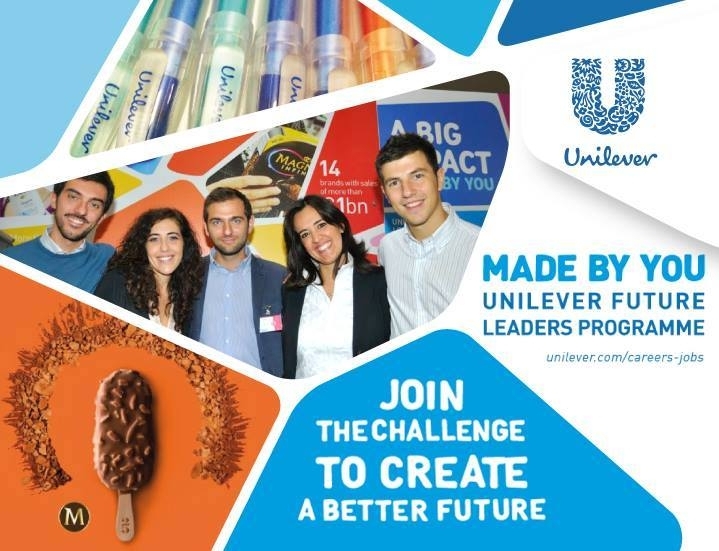 We are now looking for driven and analytical Marketing & Sales Trainee´s to our Unilever Future Leaders Programme (UFLP). Join our winning team! The Unilever Future Leaders Programme (UFLP) is about having a big impact on business, right from the start. It’s about growing iconic multi-million euro, market-leading brands from day one. It’s about learning the business fast. We´re looking to make future leaders of you within two-three years, by focusing on your whole development, personally and professionally, we’ll concentrate on three key areas: learning by experience, learning through people and formal learning. We will push you to achieve your potential and make a big business impact where you will learn from the best in the business. The Unilever Future Leaders Programme (UFLP) is a three year program where you will have the opportunities to see the whole business and try different roles within our organisation, for ex. Assistant Brand Manager or Key Account Manager. You will be part of the local, Nordic team and will therefore fast create a big network across the whole business. Marketing teams bring great products to life in the eyes of consumers. Building our brands and communications means building and maintaining relationships that can last for generations. A creative flair will see you go far, but marketing is commercially focused and demands strong business skills to actually make things happen. It takes a deep sense of logic, ambition, organisational and analytical skills, a head for figures and great gut instincts. Customer Development (Sales) ensures that our brands are available wherever the shopper wishes to buy them. Managing relationships with key retailers with skill and sensitivity makes all the difference. Our customers recognise the effectiveness with which our work drives our business and theirs. This has led to a number of retailers recognising us as their supplier of the year. It is important that you have fully developed communication skills. But most important is an analytical, result/business oriented and energetic personality. We are looking for someone with a great internal drive and who takes ownership for tasks and can set their own goals. You apply at the latest 31/1-2019. Your application should be submitted in English. You will also be asked to complete a profile assessment which consists of 12 short online games and a digital interview in connection with your application. Successful candidates will be invited to an assessment center during the beginning of March in Solna, Stockholm. Don’t wait with your application – Apply today! If you have questions about your application or the Unilever Future Leaders Programme, please contact Benita Junuzi, Benita.junuzi@unilever.com. Unilever - A BETTER BUSINESS. A BETTER WORLD. A BETTER YOU! At Unilever you are more than your job title, you are part of the world’s most successful, purpose-led business. You work with brands that are well-loved around the world, that improve the lives of our consumers and the communities around us. We produce world-leading brands including Lipton, Knorr, Dove, Axe, Hellmann’s and Via, alongside trusted local names and innovative-forward thinking brands like Ben & Jerry’s, Love Beauty and Planet and many more. Work alongside brilliant and inspiring business leaders and colleagues. If you want to feel proud of what you do and make others proud too, join us and discover how you can help make a better business, a better world and a better you! 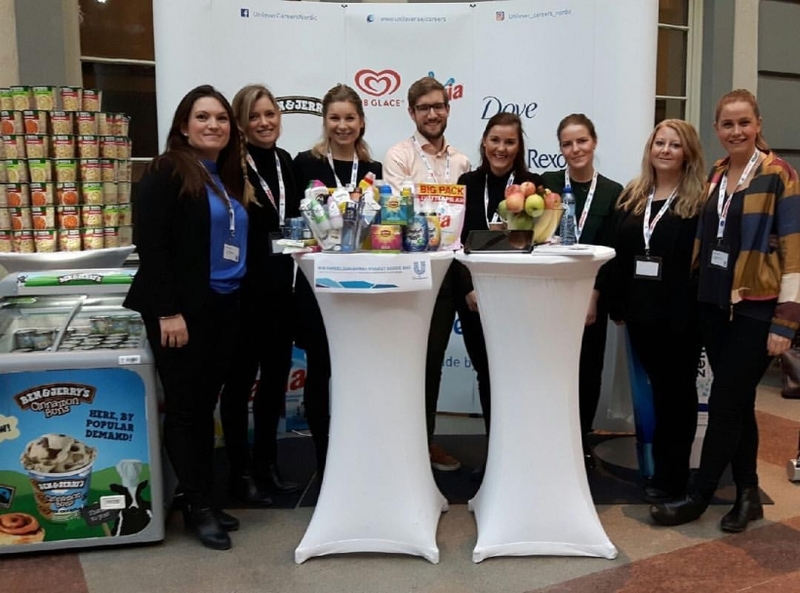 TRAINEENYHET2019-02-12, Unilever Future Leaders Programme startar hösten 2020 och ansökan öppnar våren 2020.